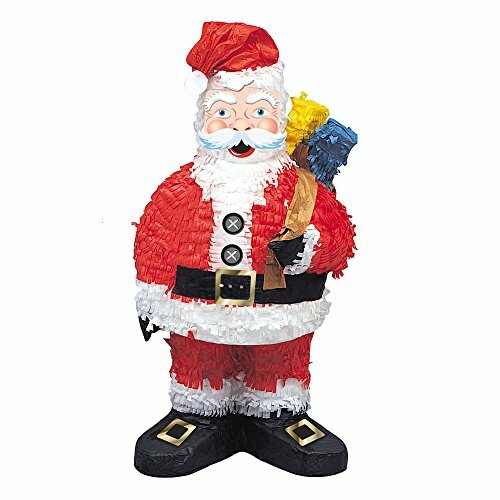 Add some jolly fun to your Christmas party with our 3D Santa Pinata. The Santa Pinata doubles as both a festive Christmas decoration or centerpiece, and as everyone’s favorite party game activity. Simply fill Santa with up to 2 pounds of your own candy and favors (sold separately), then let your blindfolded guests take turns trying to bust it open and release the Christmas loot! Coordinate the Santa Pinata with any number of Unique’s Christmas ensembles and Christmas accessories. Contains one 21″ x 19″ Santa Pinata.